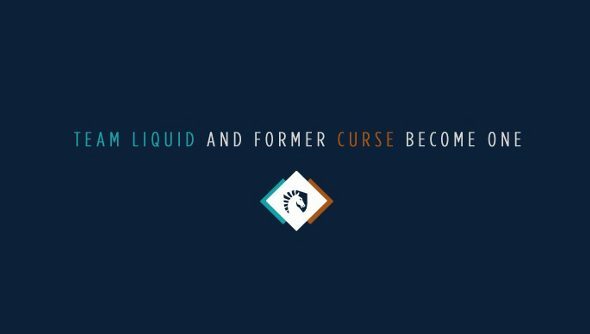 One of the oldest and most respected eSports organizations in the world, Team Liquid, have just announced a merger with the eSports organization that used to play under the Team Curse banner. Team Liquid has been synonymous with StarCraft, and the Team Liquid forums and wiki (the Liquipedia) are basically where the English-language history of the game resides. But those deep roots in StarCraft also came at a cost for the organization as a whole: as the eSports market grew and diversified, Liquid has at times struggled to become or remain relevant in games like Dota 2, and has had no presence at all in League of Legends. At a time when eSports is decidedly about more than StarCraft, Liquid was still considered a StarCraft organization. Goossens admits as much in his statement, released jointly alongside another one from co-owner Steve “LiQuiD112” Arhancet. “I can proudly say Liquid is held in high esteem in the esports industry, and people have come to expect the best from us. However, we’ve found it difficult to compete with teams like EG or Cloud9 for the top players and teams in the world,” he writes. More than that, Goossens says there were organizational strengths that the former Curse organization brought to the table that Liquid lacked, and vice versa. “The Liquid brand had become one of the most respected and recognized in esports, while Steve’s organization found itself with a lot of fans who no longer had a name to get behind,” he explains. This is pretty massive news in eSports, a bit like if McLaren’s Formula 1 team suddenly announced they were merging with Williams. It’s also a merger that brings together two organizations that represent different generations of eSports. Team Liquid was created on message boards and Battle.net clans, while the former Curse organization came to prominence with the rise of streaming and League of Legends. This is perhaps not as surprising as when Twitch acquired the Evil Geniuses parent organization, GoodGame, but it’s also likely to have a more tangible impact on eSports as Team Liquid moves into the League of Legends arena and reinvests in Dota 2. This is also exactly the kind of news that is likely to make old StarCraft die-hards nervous, since this does seem to mark the end of Team Liquid as we have known it. With a new editorial site launching at LiquidLegends.net and a management restructure, it will be interesting to see what Team Liquid’s eSports profile looks like this time next year.